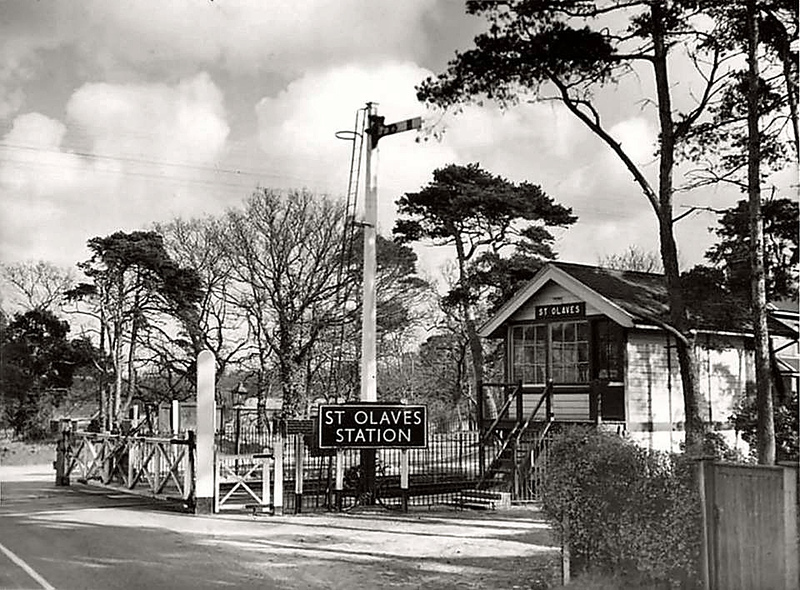 St Olaves on the line between Beccles and Yarmouth South Town. showing the A143 road crossing gates. c1955. The station sign was later attached to the wall of a local garage. Photographer unknown.